This book reflects what Juliana McIntyre Fenn has learned from children about a God-given wisdom that is so deeply rooted as to last a lifetime, despite the challenges that sometimes threaten its power. She has seen this wisdom at play in children who attended a school that she co-founded and led for twenty-one years, in the family and religious community of her childhood and in the lives of her children and grandchildren. 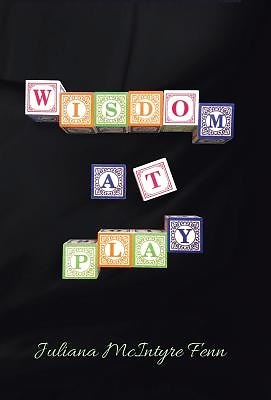 She claims that children who access their innate wisdom discover that they can create, connect, and collaborate. They find their common humanity with others who are different from themselves. They push back their boundaries in ways that bring new life to the whole community. Their wisdom transforms them and those around them. Wisdom is the spiritual dynamic inherent in the learning process. In her view, wisdom is not the bailiwick of children only. Tapping our wisdom is essential for all of us who wish to undergo personal transformation, to contribute creatively to the world around us, and to love. God's wisdom-the source and subject of several faith traditions-is our benediction and hope.